Pioneers in the industry, we offer non spark chain pulley block, beam lifting trolley, powerfull bemco brand heavy duty -1t x 3mtrs lift, powerfull bemco brand super-p' series 2tx3mtrs lift and push pull trolley from India. 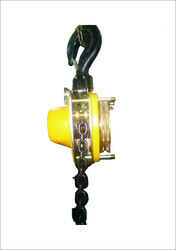 We are the leading Manufacturer and Supplier of Non Spark Chain Pulley Block. We put forth a broad gamut of Lifting Trolley, which is extensively used in warehouses and for other industrial purposes. To manufacture these Lifting trolleys in specific sizes, we make optimum use of cutting edge technology. Operated electrically, these Lifting trolleys are easy to install, can withstand heavy weights and come in portable sizes. You are aware that we are manufacturing POWERFULL® Bemco Brand ISI-Marked Chain Pulley Blocks of BEST QUALITY indigenously. Now, we have set-up Production Line for mfg. “100Nos Per Day” Chain Pulley Blocks of Triangular design in Super ‘P’ Series. 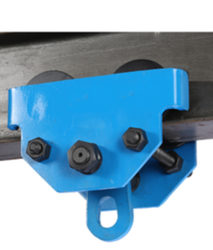 These Chain Pulley Blocks are the Best sturdy CPB’s, very much superior to all other Brands, since we use heavy Ball Bearings of Standard make, whereas even Indef M-Series uses flimsy ‘needle roller’ bearings, which gets damaged early. (b) Stainless Steel Chain pulley Blocks with all parts in S.S. 304 construction. 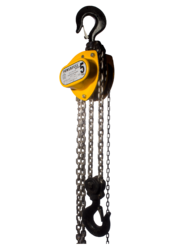 (c) Chain Pulley Blocks with “Over Load Protection Device” (OLPD) where-in Chain Pulley Block will slip beyond pre-set rated-load and safeguard overloading damages. 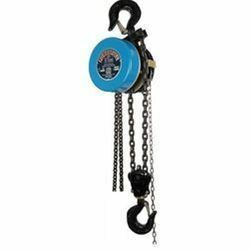 (e) Alloy Steel chain sling as per IS 2760. (f) Crane hook with/without machining as per IS 3815/15560 with all test certificates like Ultra,MPI, IDLR T/C with Government Approved Test House as per requirement of customer.